...ion binds together molecules in a wondrous dance and in this frenzy the creation of glass emerges triumphant. A process that relies upon the ion to attract the positive; repel the negative; and transform itself into a magical translucency. While the ionic formula binds glass molecules together, the condominium binds stunning architecture together with a location that, like glass, is brilliant. 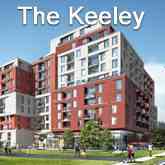 Cityzen Development Group is acknowledged as being among the GTA’s most highly regarded expert condominium developers with an unshakable commitment to total excellence. Cityzen has established a sterling reputation through the development of sumptuous urban lifestyle buildings created with alluring features, modern artistry, and cutting-edge architectural design. London on the Esplanade is Cityzen’s latest and greatest creation, a remarkable landmark building of 408 ultra-luxurious units set at 40 The Esplanade and featuring the innovative suite designs in the cosmopolitan, classic, elegant, thoroughly European style of London’s finest new residential buildings. Hewn from glass, steel, and bold accents, London on the Esplanade also features an expansive outdoor swimming pool with year-round Whirlpool; a spa with two treatment rooms; workout facilities with an aerobics room; a multi-purpose room, games room, and board room; and even a theatre! 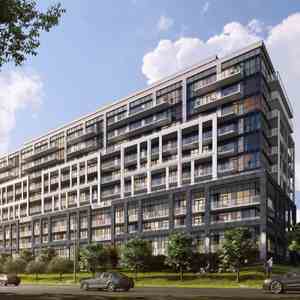 Fernbrook Homes is palpably one of the superior masterful designers to be found in the Toronto Metro region, framing heroic city structures conceived with spellbinding features, mod design, and enhanced architectural mastery. 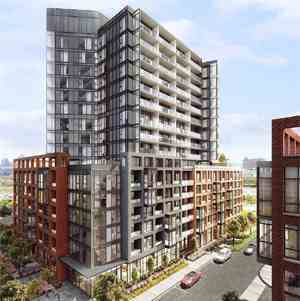 The fabulous edifices designed by Fernbrook Homes include Ion Condominium at Keele St & Wilson Ave; Backstage Condominium at Yonge St. and The Esplanade; The L Tower Condominium at Yonge Street and Front Street; Absolute World Condominium at 80 Absolute Avenue; Pier 27 Condominium and Town Houses at 25 Queens Quay East; Aria Condominiums Phase 1 and 2 at Sheppard Avenue East and Buchan Court; and Vero Condos located at 8302 Islington Avenue which backs onto alluringly contoured landscaping and acres of verdant woods in the lovely setting of Woodbridge.